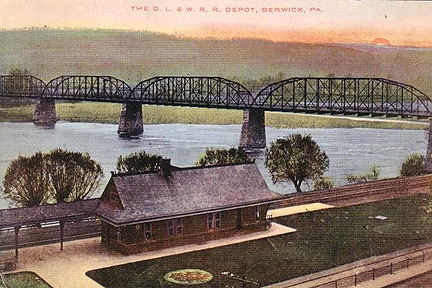 Over the years Berwick has been served by several railroads. 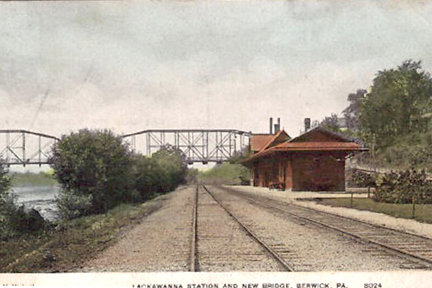 The Lackawanna and Bloomsburg Railroad which later became the Delaware, Lackawanna and Western Railroad, Erie-Lackawanna, Conrail and the Susquahanna, Bloomsburg and Berwick Railroad have all served Berick over the years.Currently the North Shore Railroad operates the line to Berwick. 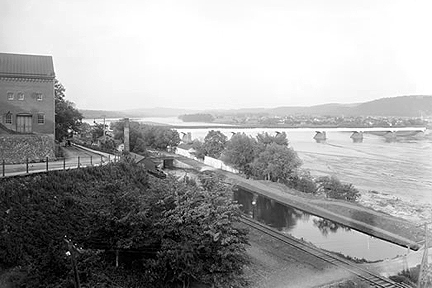 You can see the Lackawanna and Bloomsburg tracks in the forground that run below Berwick along the river. 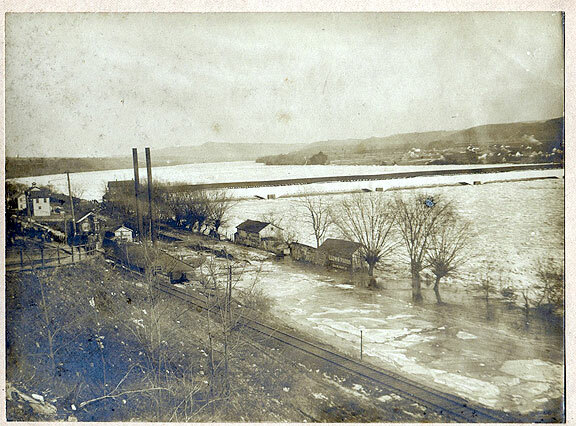 Photo of the Susquehanna river flooding in 1904. 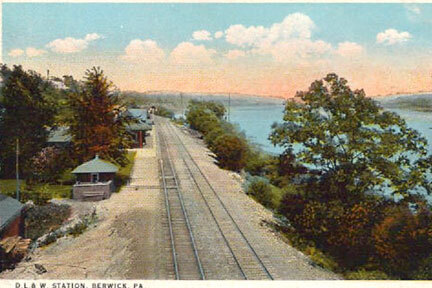 You can see the Lackawanna and Bloomsburg tracks in the forground that run below Berwick along the river. 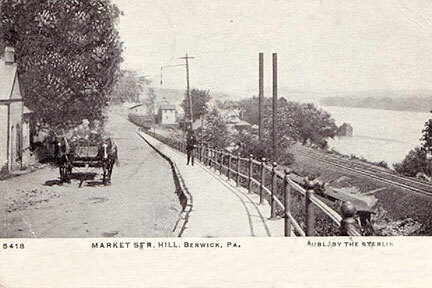 Postcard of Market Street Hill. 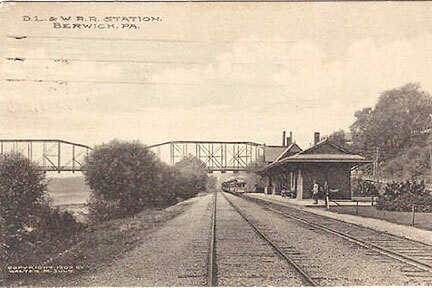 To the right you can see the DL&W tracks. 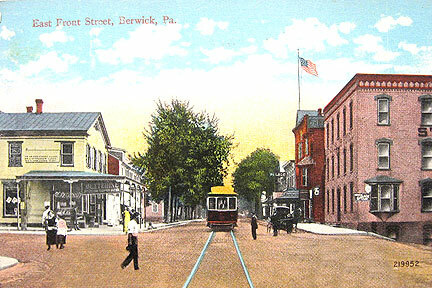 Postcard of East Front Street with the Trolly Running down the middle. 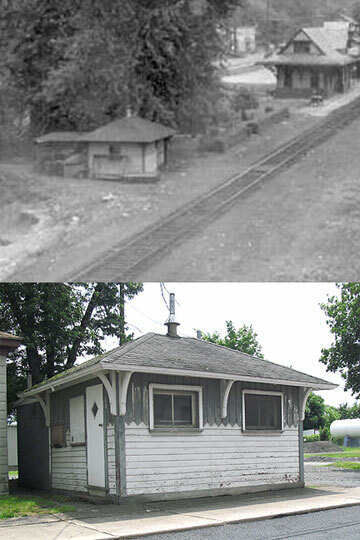 Orginally a DL&W trackside building (once located by the sation), at some time it was moved to it's current location along 9th street. 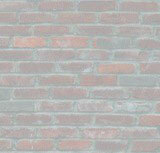 This photo was taken somewhere in the Berwick area. 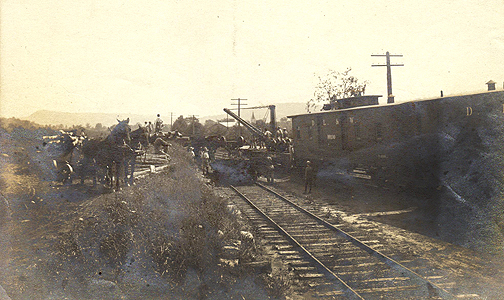 DL&W flat car with derrick crane and car #89100 clearing what looks like a derailment. 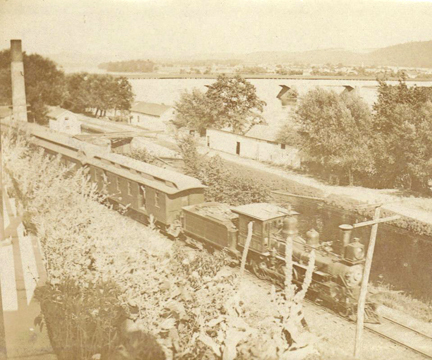 Old photo of the DL&W Passenger Train as seen from Market Street. 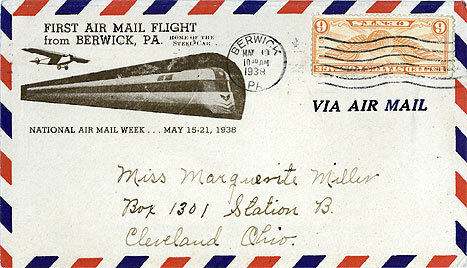 Early 1900's? 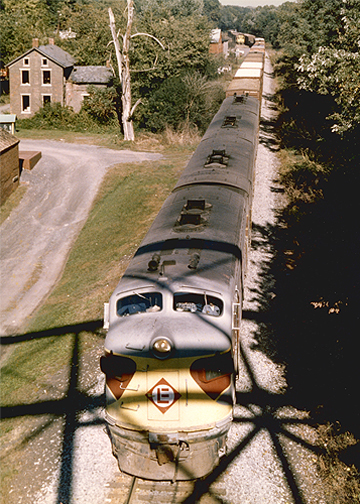 Looking down from the old Market Street Steel Bridge at an Erie-Lackawanna freight train just before it goes under the bridge. 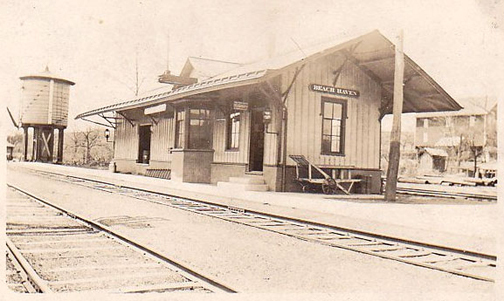 Beach Haven was originally served by the Lackawanna and Bloomsburg Railroad which later became the Delaware, Lackawanna and Western Railroad and then the Erie-Lackawanna Railroad. 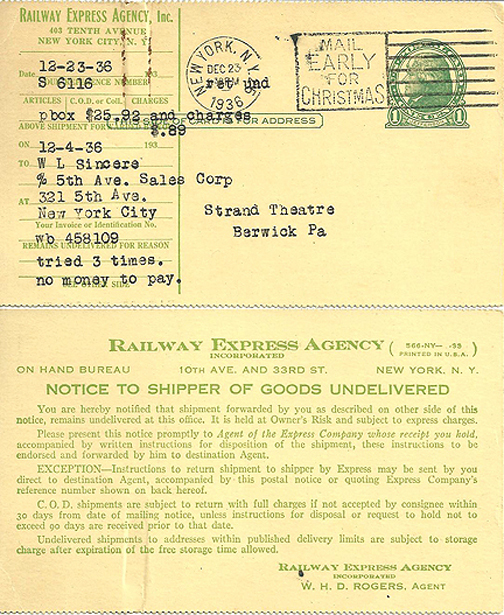 Service ended with the take over by Conrail. 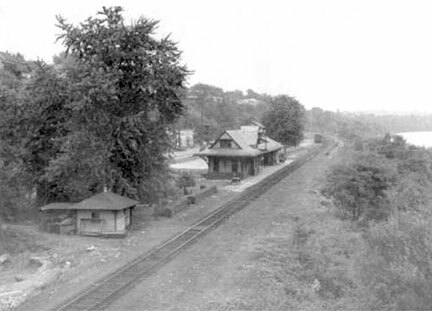 The tracks still remain to the PP&L Power Plant just above Beach Haven and are now operated by the North Shore Railroad Company. 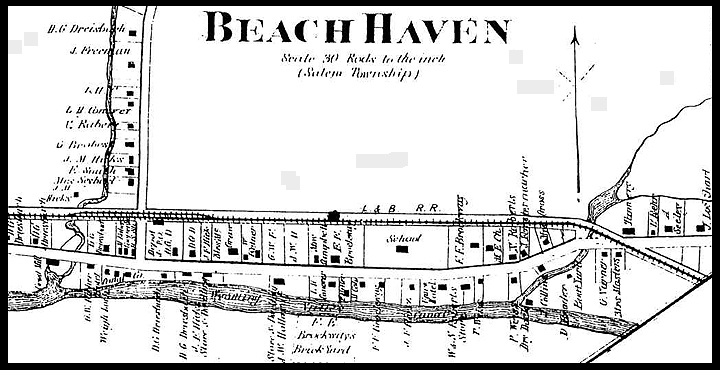 Old map showing track location of the Lackawanna & Bloomsburg Railroad in Beach Haven. 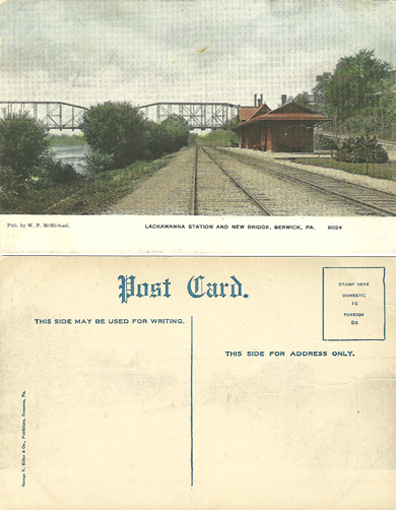 All photographs, art and maps are the property of Andrew Hoke/Berwick Railfan (2009-2013) and can not be used in any way without permission. 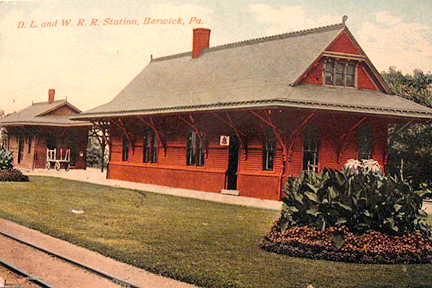 If you would like to use any of the photographs on the Berwick Railfan Photo Gallery website, or have comments and questions please EMAIL me. 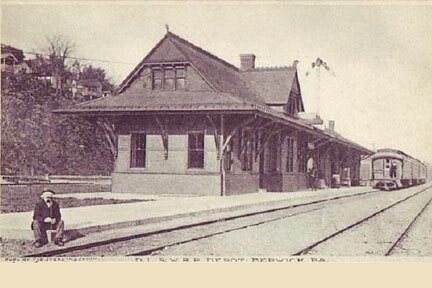 Please give a photo credit and a link to the Berwick Railfan Photo Gallery for any photos used either on the internet or in print.